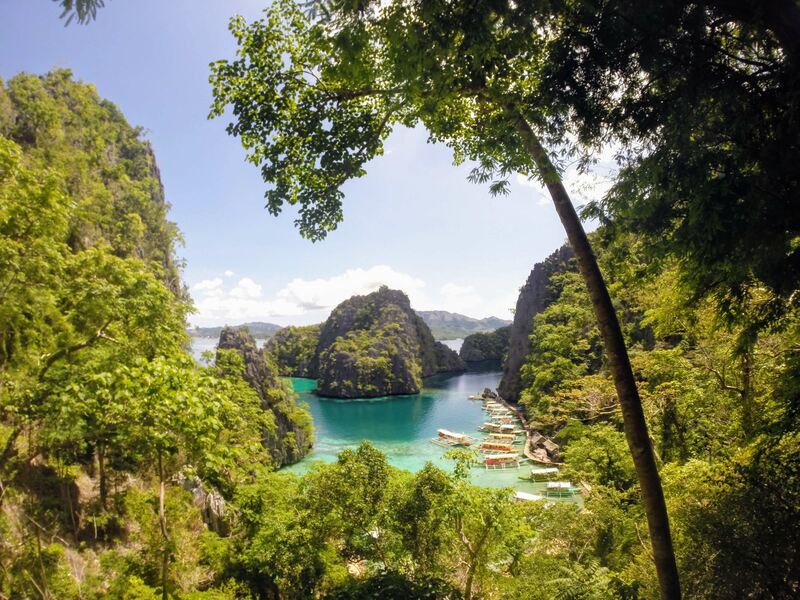 You’ll discover what regular tourists on group trips miss: private aqua-blue lagoons, a cave or two, wildlife like sea eagles, kingfishers, monkeys, monitor lizards & sea turtles. In short, serenity! 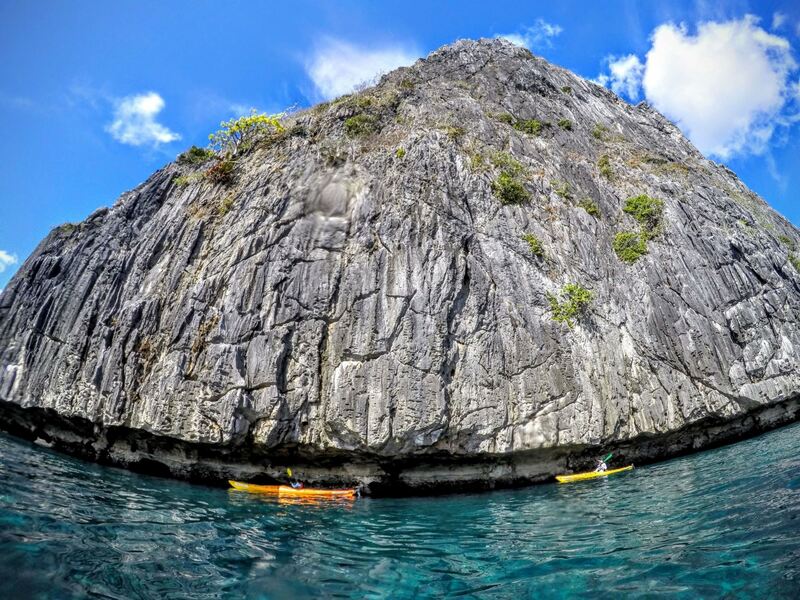 With the convenience of riding a motorised outrigger banca with personal sea kayaks atop, we effort to give the tourist traps a wide berth, to allow you to better fall in love with the serenity, beauty and majesty of Coron Island the Tribal way–by paddling. 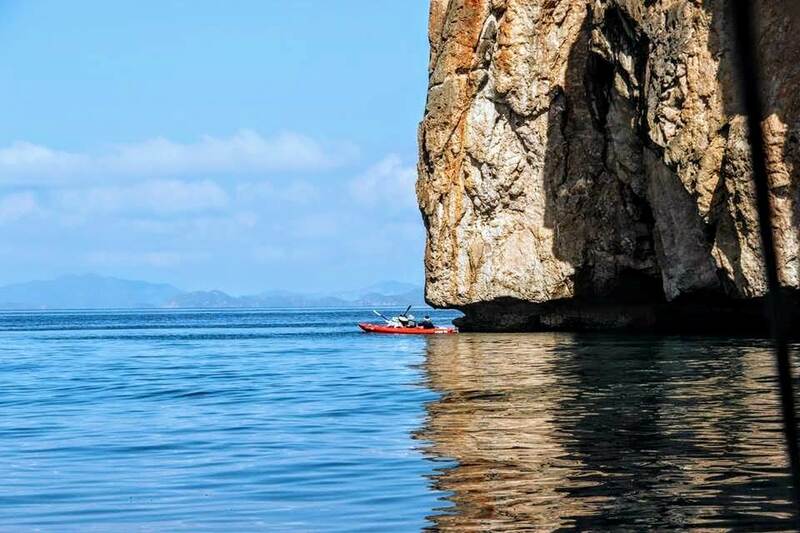 In so doing, you will glide in to the nooks and crannies of an environment that is in National Geographic’s Top Ten list of places to visit on the planet. 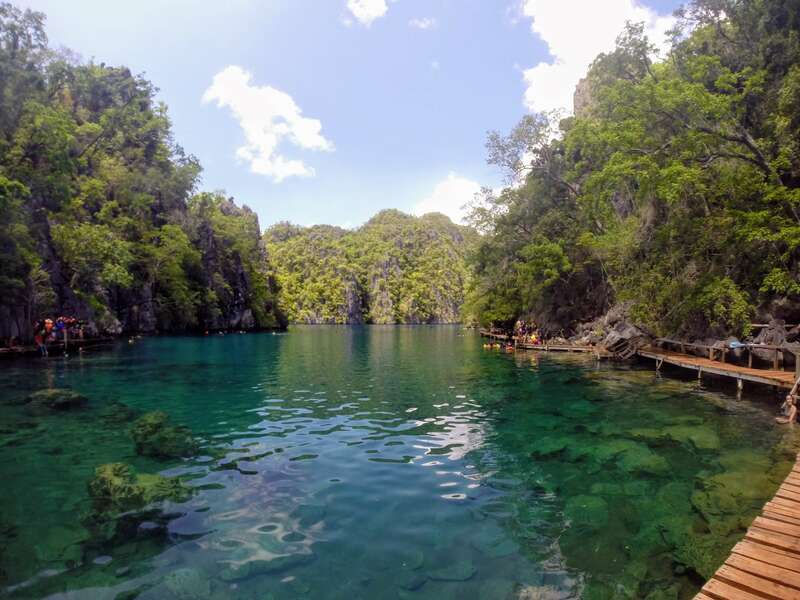 And, yes, later when you thought you already had a vista overload, you will see Kayangan Lake and gaze down at the extraordinarily picturesque view of the lagoon below–arguably Philippine tourism’s most photographed natural scene. But if the sea of humanity is too great we will opt for Barracuda Lake, a thermal, meaning if you can free dive 17 metres you’ll get yourself into hot water! Cruise on banca to far southern tip of Coron Island, getting off to paddle into wondrous lagoons that are off the tourist route. 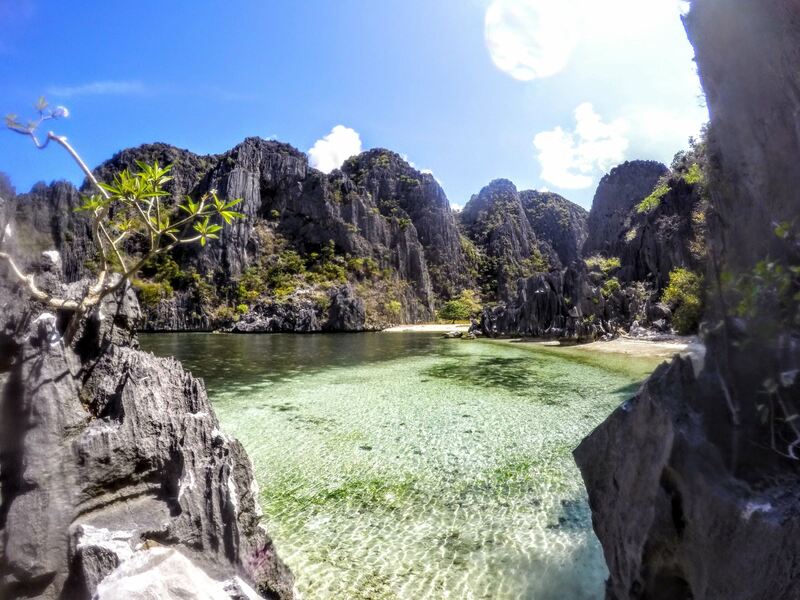 Take pictures of Coron’s most picturesque lagoon, with its strong green colour it pips Kayangan lagoon in our view! Walk and see a cave which has a swimming hole for the brave. Back on board. Merienda en route to Skeleton Wreck. Quick lunch at Skeleton Wreck, followed by kayak trip across lagoon to cave, getting picked up by banca for trip to Twin Lagoon. 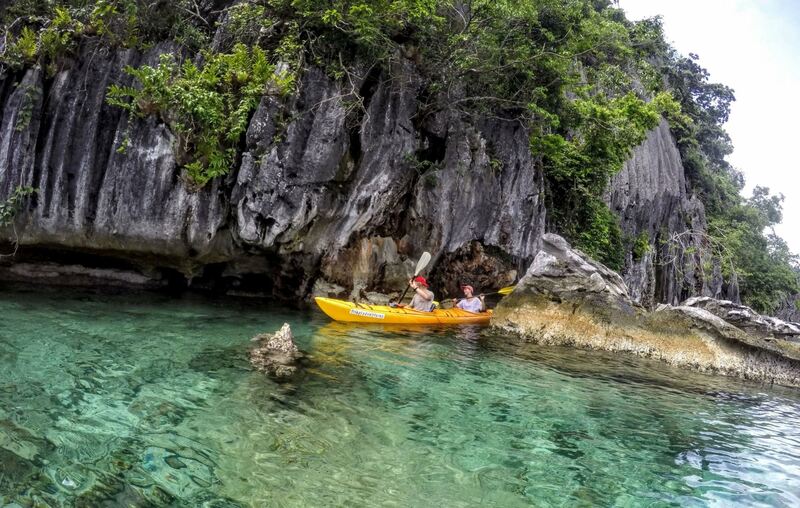 Alight with kayaks and pass between the lagoons, by kayak if low tide, swimming if high tide. Emerging from the second lagoon, we board banca, passing by Barracuda Lake, a cousin of Kayangan Lake, where we stop and snorkel its cathedral-like rock formations. Kayak Kayangan lagoon to Calachuchi Beach before being picked up by banca. Thanks Lerma and Vida for an excellent day on the water and thanks Greg for all your support and midnight replies. You’re a superb team and I’m glad I had a chance to explore the island with you. Thank you Lerma for an amazing kayak experience like no other! Very friendly as all filipino, very patience, helpful and anything to cater your needs. And thanks to Greg who was very helpful and caring of him to talk even though he was on holidays himself with my needs.